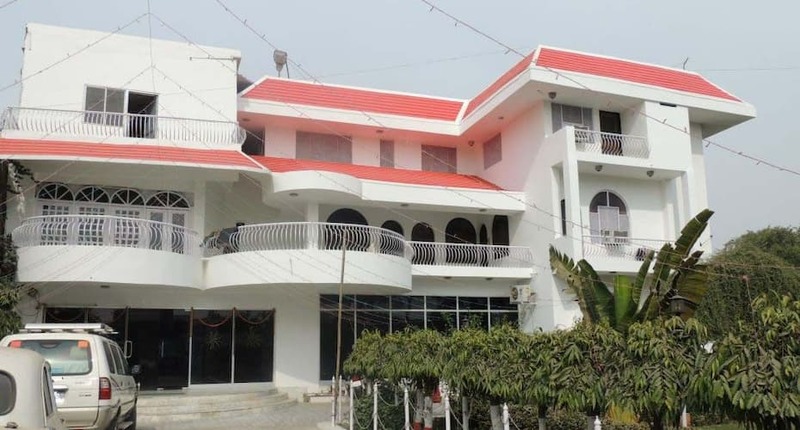 "Hotel Buddha International is a budget accommodation in Bodhgaya. It is located at a distance of 1 km from the Mahabodhi Temple. This hotel is accessible from the Bodhgaya Bus Station (0.5 km). The hotel has well-furnished rooms. All the rooms have cable TVs with premium channels, reading lamps, moisturizers, conditioners, pinup boards, desks, slippers, and sofa beds. Each room has an attached bathroom. This Bodhgaya hotel provides room service to its guests. Hotel Buddha International has a restaurant on its premises. Guests can avail of the laundry service.Hotel Buddha International is accessible from the Gaya Railway Junction (17 km) and the Gaya Airport (14 km). Places worth visiting include the Barabar Caves (43 km), the Deo Sun Temple (77 km), and the Chinese Buddhist Temple (81 km)." DO NOT make bookings on sites that still advertise as Hotel Buddha International as pre-payments will not be honoured and youll have to pay again! At this location is Hotel Sambodhi International and the manager, Rajesh Sahani, was super helpful, couldnt do enough to help make the stay a pleasant one but other staffs there dont speak English. The rooms were average. The hot water bath was not functioning most of the time. The location of the hotel on Google map was incorrect. No wifi service available but it's mentioned that they provide wifi. Despite the breakfast was complementary, they don't have their own restaurant. So we can't have the breakfast for the 1st day in the hotel and only breads were given for 2nd day. The staffs were friendly. This Hotel is horrible/ terrible and no words to explain. The pics showing on the website are not real. The hotel is in renovation, we went 14 members team. There is no restaurant/hotel water/no room boy. Suppose to give free breakfast, but there is no one to take care of the customers. There is no one checked in the hotel between 24sep to 4oct. I have entered my details in the register. This is without doubt the worst hotel i have ever been in. The level of dirt was staggering, the smells nauseating, and assistance from the staff, was non-existent. Insects were everywhere, the ceiling fans were encrusted with thick layers of black dust, and remnants of food was smeared on the walls, perhaps spilled ? But no efforts were made to clean it up, just as dirty plates and cutlery was left on stairs and landings. The linen was stained, for reasons i do not even want to think about. When complaints were made, the option was a can of airfreshner. This place i never want to see again. We arrived a large group late at night. It turned out to be a hotel of very low standart. Large amounts of waste under the stairs, old food smeared on the walls, the bedding was the opposite of clean and the bed blanket, I would never lay under it! Instead of cleaning the rooms, large amounts of chemicals were sprayed in the rooms, making it almost impossible to breathe. I have traveled many places in the world even under very primitive conditions, but have never been at a hotel with such an exeptional low standart. People slept in chairs and sofas all over and you was i doubt whether it was people from the streets. We moved the middle of the night to Hotel Heritage which was significantly better and even cheaper. Please select some other hotel. Don't spoil your vacation. No room is good, no proper ventilation.